We are proud to say that Catherine Loveday of Lullington Garth is a Woodsider. In the past, she has spent many years of hard work and dogged determination researching the names of soldiers from Hendon who were killed in action during World War II and whose names did not appear on the war memorial in Hendon. She established 228 new names and raised the money herself from donations and supermarket collections to enable their names to live on forever at the Hendon War Memorial in Watford Way. Catherine has previously honoured soldiers from East Barnet and New Barnet and now has her sights set on honouring soldiers from Finchley/Woodside Park. As Catherine says below, all that the soldiers have left is their names. 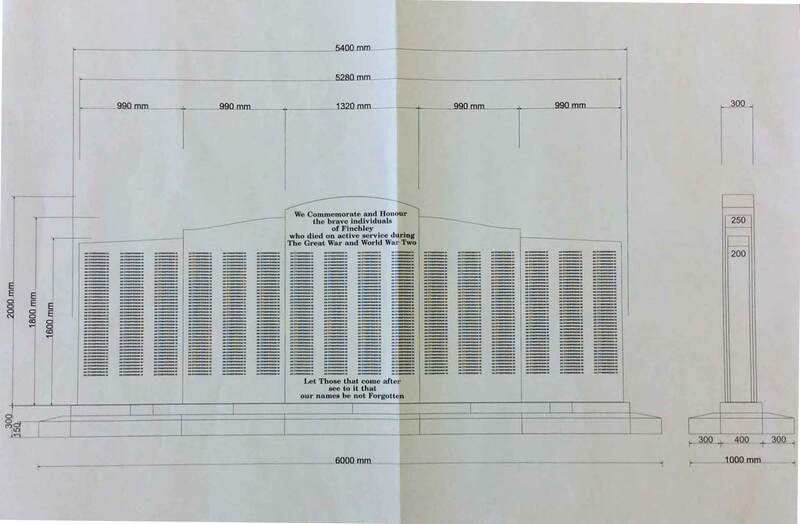 Catherine wants to raise £60,000 for this project and subject to final agreement the new memorial will be established at Finchley Memorial Hospital which is the perfect site for such a memorial. Catherine needs volunteers to help in the many tasks associated with this project and those with expertise in computers, publicity, fund raising and raising the profile of this project. 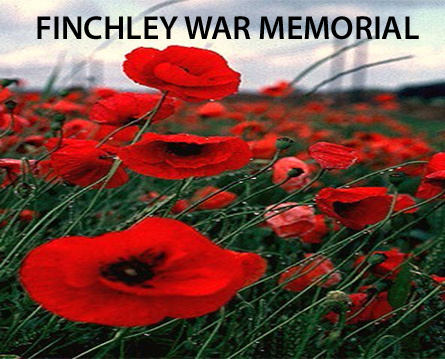 Donations can be made by cheques payable to Barnet War Memorial Association – for the Finchley War Memorial. Catherine’s direct contact details are below. 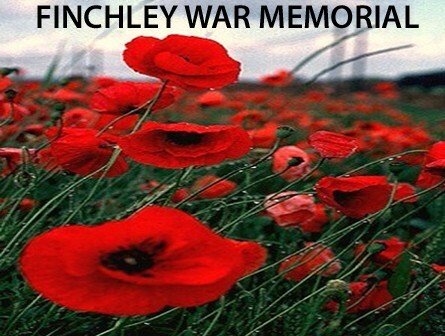 It is proposed to construct a War Memorial in Finchley to commemorate all those who died in the service of the Crown from Finchley during the Great War and the Second World War. A total of 800 names from the Great War and nearly 500 from The Second World War. The majority of these names do not appear on a local War Memorial. Finchley does not yet have a comprehensive War Memorial that lists those who made the ultimate sacrifice for our Peace and Freedom. Without their unselfish acts it is difficult to imagine the sort of Country we would now be living in. It is nearly 100 years since the end of The Great War and we need to honour, commemorate and remember them by listing their names for all to acknowledge. At present the only War memorials that I am aware of in Finchley are the small shrine in Finchley Village with just 3 names from The Great War and 5 WW2 and the memorial at N Finchley. The only names depicted here are those who were killed during The Great War and who worked for Hendon bus garage and the local electricity company. These names may not actually belong to those living in the area. Of course many Churches and Schools have names listed on Rolls of Honour which are also defined as War Memorials but nowhere in Finchley is there a comprehensive list of names from either of the World Wars. Of course, we have the hospital which changed its name from the Cottage Hospital to the Finchley Memorial Hospital after The Great War. However, no names were listed. The listing of names is the most common form of remembrance. Naming the dead emphasizes their existences as individuals and shows the enormity of losses. I have researched over 400 names of those killed during WW2 from all the Finchleys. Four of these were brothers, sons of a local GP. Dr Garland. One of whom received the VC, yet where are their names? You may have seen the film ‘Saving Private Ryan’ whereby when it was discovered that 3 sons from a family of 4 had been killed in the War, a search party was dispatched to the Normandy Landings to find the fourth son and bring him home Unfortunately that did not happen to the Garland brothers in WW2. It is time that we remembered these brave young individuals who gave the most that man can give they gave life itself. I have also researched circa780 names from The Great War, surely these too should be remembered, honoured and commemorated, there should be somewhere for family members to be able to go to remember their loved ones. Bearing in mind that no bodies were repatriated from either of the two World Wars. All that They have left is their names. 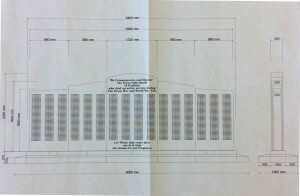 We need to raise £60,000 for this project. We need volunteers to help in the many tasks associated with this project and those with expertise in computers, publicity, fund raising and raising the profile of this project. Please contact me if you are able to offer any time or help cloveday_65@hotmail.com or 0208 446 2024.